Remote working improves productivity levels by offering business people a much-needed change of scenery. According to latest research commissioned by Regus, the flexible workspace provider, over half of global workers (53%) suffering from symptoms of cabin fever find relief by varying their work environment. 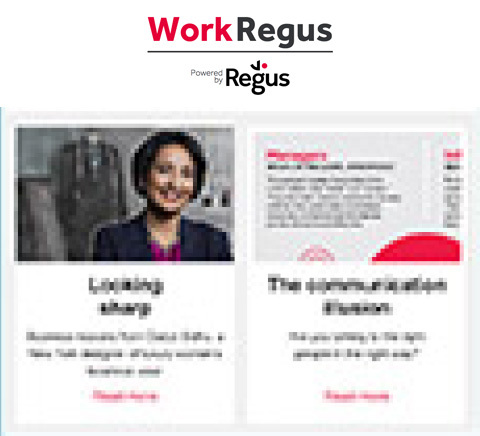 To find out some of the reasons more and more people are choosing to work remotely, Regus canvassed over 20,000 business people across the globe and found that, in addition to improving productivity, remote working also helps workers to concentrate (56%). A break from the usual business environment renews focus, and enables mobile workers to go through their to-do list without interruptions from colleagues and ringing phones. Flexible working was also found to improve travel schedules (55%), as remote workers spend less time commuting. And not only do they enjoy a respite from jam-packed trains, mobile workers also have more time to unwind with loved ones (46%) at the end of a busy day. 11% would allow workers to work remotely the whole week. As the world of work continues to evolve, the number of remote workers is expected to continue to rise. For more key findings and a ‘state-of-the-nation’ snapshot of the workforce today, view our full report The Workplace Revolution.